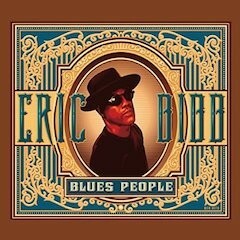 BLUES PEOPLE, Eric Bibb (Stony Plain)– The main appeal with blues troubadour Eric Bibb has always been his positive hopeful tone conveyed with a warm voice, a pristinely picked acoustic guitar and a balanced production from Glen Scott. 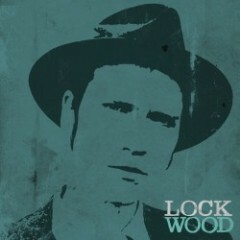 Those things are present on his latest project Blues People. 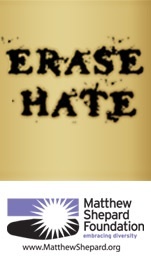 This time, though, he also wants to nudge listeners toward the path of racial harmony by reminding them of the ugly past and the redemptive major accomplishments that emerged from it, with work still left to do. “The new album is in part a tribute to the memory of the great Dr. Martin Luther King,” explains Bibb. LENT AT EPHESUS, Benedictines of Mary, Queen of Apostles (De Montfort Music/Decca Label Group)– After having seen their 2013 album Angels and Saints spend 13 weeks at #1 on Billboard’s Classical Traditional Music Chart last year, and finishing #1 in this publication’s Elite Half Hundred of 2013, the vocational nuns of Benedictines of Mary, Queen of Apostles are providing heavenly music just in time for Lent with their third release for the De Montfort Music/Decca Label Group, Lent at Ephesus, a timely, seasonal recording of a beautiful compilation of poignant chants, intricate harmonies and rousing hymns of glory and redemption. 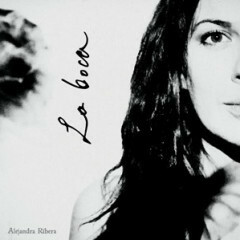 The album features 23 tracks, including “O Sacred Head Surrounded,” made famous by Bach’s oratorios; “All Glory Laud and Honor”; the well-known “Adoramus Te Christe”; the etheral “Improperia” from the liturgy of Good Friday; Palestrina’s majestic motet ‘Pueri Hebraeorum,’ plus three original pieces by sisters of the community, whose priory is in the Diocese of Kansas City-Saint Joseph. ROMANTICA, Caterina Zapponi (Motéma Music)– A chanteuse of French and Italian extraction, Caterina Zapponi returns with her first album since 2001’s well-received Universal Love Songs. Romantica might also be described as “universal love songs” of the French and Italian variety that she grew up loving in Rome as the offspring of Bernardino Zapponi, famed in film circles as Federico Fellini’s screenwriter (Roma and Satyricon, notably), and Francoise Rambert, herself a French chanteuse of note. Her home was filled with music beloved by her parents and her parents’ circle, especially romantic ballads with a heightened sense of poetry, as could be found in her mother’s cabaret chansons, in the Italian folk songs permeating the home and most certainly in the Great American Songbook. THE VIEW/BLUEGRASS KINDA CHRISTMAS, The Roys (Rural Rhythm Records)– Steeped in traditional bluegrass and existentialism, much-honored American-born, Canada-raised siblings Elaine and Lee Roy come of age as artists on their third album. 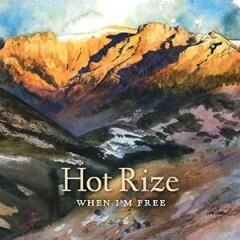 That this is so may be only a matter of degrees from what they delivered on their terrific 2013 album, Gypsy Runaway Train (a Deep Roots Album of the Week, June 18, 2013), but it’s due to the duo transferring their individual existential concerns from last year to the lives of others they write about on The View. 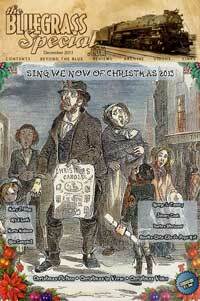 On The View what might have been heard as solipsism on Gypsy Runaway Train has given way to a point of view equal parts expansive, populist, existentialist and humanistic in songs pondering the burden of memory as time marches on, along with philosophical appraisals of quotidian troubles and joys. To accomplish this they’ve not enlisted marquee bluegrass instrumentalists such as Randy Kohrs, Andy Leftwich and Justin Moses, all of whom appeared on the previous album, but rather are working with a tight, efficient trio of standout fiddler Clint White, banjo/dobro master Daniel Patrick and bassist Erik Alvar. One big name does drop in for a memorable turn, when former Blue Grass Boy/now full-time bluegrass legend Doyle Lawson checks in on “Mandolin Man,” Lee’s bustling tribute to Bill Monroe, adding a spry vocal and spirited mandolin solo to the heartfelt salute. Review continues here… The Roys also merit an honorable mention here for their terrific seasonal offering, Bluegrass Kinda Christmas, a thoughtful collection of country and bluegrass Christmas tunes of mostly recently vintage plus a couple of evergreens. 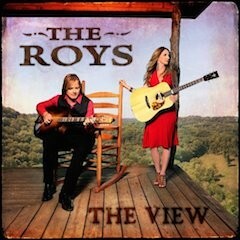 The Roys, ‘No More Lonely,’ from The View. Video posted at YouTube by Archie Shaw. 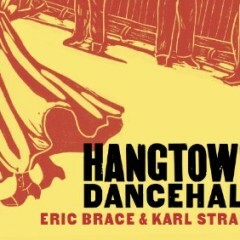 ‘El Dorado Two-Step,’ the final tune from Hangtown Dancehall, a folk-opera by Eric Brace and Karl Straub. Tim O’Brien (lead vocal; Eric Brace (backing vocal); Andy Reiss (acoustic and electric guitars); Buddy Spicher (violin); Jen Gunderman (piano, accordion); Kevin Cordt (trumpet); Kurt Storey (viola); Pat McInerney (drums); Dave Roe (bass); Peter Cooper (backing vocals). From Charlie’s Boogie, Duane Andrews and Craig Young perform ‘Kelly Russell’s Reel,’ written by Emile Benoit, the Newfoundland fiddling giant credited with popularizing Franco-Newfoundlander folk music traditions. 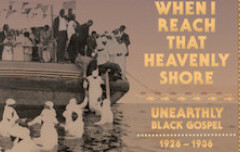 WHEN I REACH THAT HEAVENLY SHORE: UNEARTHLY BLACK GOSPEL, 1926-1936, Various Artists (Tompkins Square)– Using 1926 as a starting point is not a random decision. That year saw the release of debut recordings by two seminal artists: Church of God in Christ powerhouse Arizona Dranes (who has already received a handsome Tompkins Square retrospective) and Baptist minister Rev. J. M. Gates of Atlanta, who became a bestselling recording preacher. One can literally trace a shift in the sound of recorded black sacred music from restrained to exuberant after the release of their discs. TODA UNA VIDA… Carmen Cuesta (Twenty Records)– In some ways Madrid-born songbird Carmen Cuesta picks up in her new album, Toda Una Vida…, where she left off in her late 2011 release, Mi Bossa Nova; in more ways, she asks more of the listener, with the payoff being the spiritual fulfillment a work this tender and deeply felt can bring. Billy Boy Arnold, ’99 Lbs.,’ a cover of Ann Peebles’ 1972 recording, from The Blues Soul of Billy Boy Arnold. Duke Robillard on guitar, Bruce Bears on Hammond organ, Billy Boy on harp. 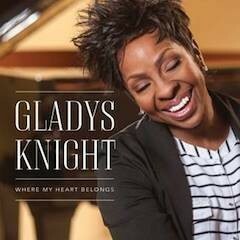 WHERE MY HEART BELONGS, Gladys Knight (Shadow Mountain Records)– Like many R&B and soul artists, the multi-Grammy winner Gladys Knight got her start in the church. It’s to the church she returns for her latest release, Where My Heart Belongs. CARTER GIRL, Carlene Carter (Rounder)– Carlene Carter’s new album Carter Girl, a tribute to the musical heritage of her fabled family, is a triumph. “Legendary” is a shamefully overused word, but how else to describe Carlene’s grandmother, Mother Maybelle Carter; her mother, June Carter Cash, who, with aunts Helen and Anita, were the Carter Sisters; her father, Carl Smith and her stepfather, Johnny Cash. Carter Girl is that rare contemporary album with a cohesiveness that rewards listening from start to finish. Asked about this via email, Carlene wrote that the ordering of tracks “wasn’t a conscious decision. Or maybe it was and I didn’t know it! I just followed my instincts with a lot of help from Don. The beginning track, ‘Little Black Train,’ is taking a very old song and making it my own–laying the foundation. The final track, ‘I Ain’t Gonna Work Tomorrow’–one of the last recordings I did with my mother, my aunts and John–completes the foundation. Each song has its own inner arc as well. I want listeners to feel like they’re on a journey, and to sit back and enjoy the ride.” Review by Michael Sigman continues here. BETWEEN WORLDS, Avi Avital (Deutsche Grammophon)– “Forgetting borders” is what he calls it in the liner notes of his latest CD. He’s mandolin virtuoso Avi Avital, and that CD on the Deutsche Grammophon label is Between Worlds. The disc is a journey with, and a tribute to, those 20th-century classical composers who used music based on folk traditions in their own works. A genre-defying tour of the globe, the program on Between Worlds ranges from Dvořák, Bloch, Villa-Lobos and Piazzolla to folk dances from Bulgaria, Georgia, Romania, Spain and Cuba.